I joined Twitter on March 15, 2007. Sometime in 2013, a new me joined Twitter. 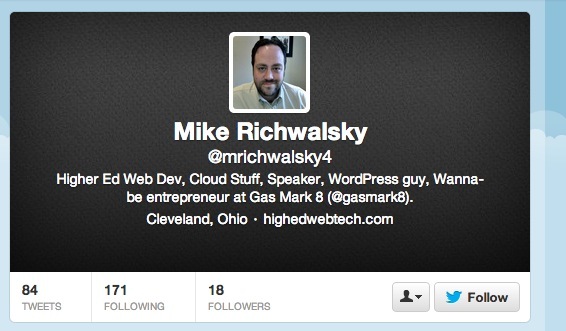 As I was going through my account last week, it was suggested that I may like a user named @mrichwalsky4. Interesting, I thought. 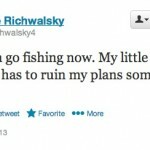 Not counting my Dad, who doesn’t use Twitter, there are one or two other Mike Richwalskys in the world. Maybe one of them had joined Twitter. I thought I’d check out what they had to see. 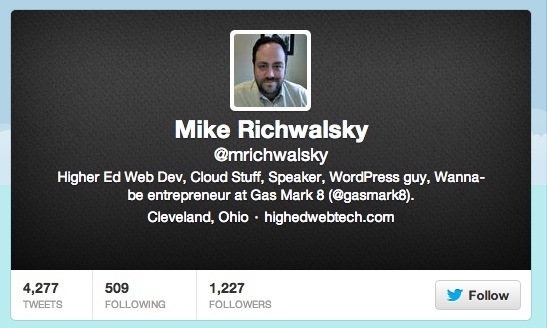 First, here’s what my Twitter profile looks like. 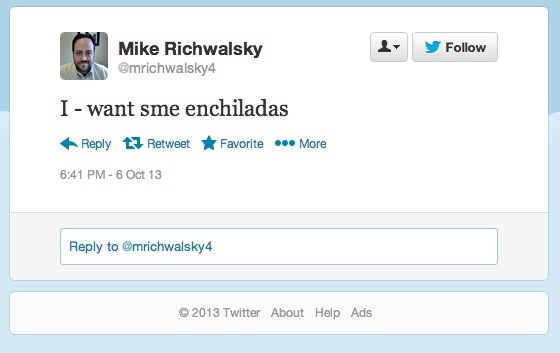 Here’s what the profile for @mrichwalsky4 looked like. Ok, that’s more than a passing resemblance. That’s me. My profile pic. My bio. My URL. So many questions starting going through my mind. Who did this? Why? It felt strange to have your online identity stolen and used without your permission. This wasn’t even a parody account, it was downright theft. After checking with some friends and colleagues and them saying no, they hadn’t created it. I started to panic. The tweets from this account were strange, as well. Here are a few gems from the account. 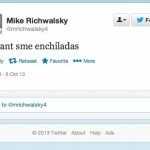 @mrichwalsky This is awesome. I’m reading all his tweets in your voice right now. I needed to complete a help ticket, and send Twitter a copy of my ID to prove that I’m me, and the only me, on Twitter. So I started the process. On November 4, 2013, I completed the online form and officially reported the fake account to Twitter. 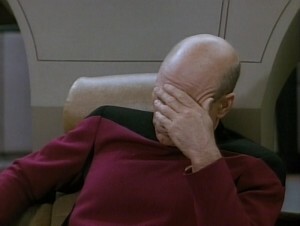 A ticket was opened and a copy of my Ohio driver’s license was faxed to a random fax number in California. I waited. And waited. The ticket said it was opened and awaiting review by Twitter. Honestly, I thought with their impending IPO, people would be a little distracted at Twitter. I’d certainly be. We apologize for the inconvenience, but we experienced technical difficulties with our ticketing system during the time in which you filed a request for assistance. If you’re still experiencing an issue, please reply to this email with your original message, and we’ll do our best to help. Again, we are very sorry for any trouble this may have caused. What’s strange is that it was sent through the same system as the ticket, and was appended to the ticket. So someone at Twitter opened this ticket, didn’t read (lol) and asked me for my info. I did what they should have done, and copied the information from the ticket and re-posted it to the same ticket. Thank you for providing this information. We have removed the reported profile from the site due to violation of our Terms of Service. And just like that, the account was gone. Over the last few days, as I waited for word from Twitter, I did some digging into the tweets this user was sending, to see if I could figure out who was doing this. @SW_Women is an organization in the UK that offers encouragement, inspiration, support, friendship, alongside information from business speakers for women in regional enterprise. They are followed by 105 people and have tweeted 79 times. @CitizenPaper is the Twitter account for the Webster County-Citizen, a newspaper in Seymour, Missouri. They have 41 followers and haven’t tweeted since May 12, 2013. @CitizenPaperU is another fake account with 9 followers and a bunch of retweets. If we look back a few weeks, we find the same tweet as one in my fake account, this time about mothers opening bananas. I’m going to hazard a guess that this is a singular person who has found some popular accounts in the US and UK, created fakes to capitize on a mistype or Google result, and retweeted and tweeted mostly nonsense. I don’t know why this person would do it, but it seems I’m the only one who’s figured it out and had their fake account taken down.